After reflection on the anniversary of my abandonment date, I am writing this melancholy post in reaction to a series of photos recently shared worldwide of Chinese parents abandoning their children at the recently suspended baby hatch in Guangzhou. Given the limited choices available to Chinese parents, the baby hatch program was established to give parents a place to safely leave their children in the case they could not raise them. 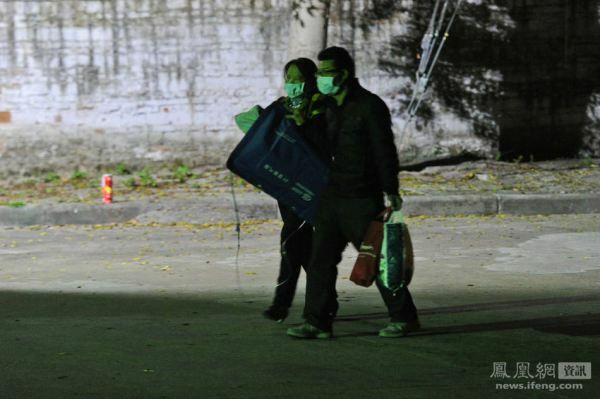 There are currently 25 baby hatches in China’s 10 largest provinces. According to the Guardian, China is expected to open another 18 baby hatches by the year 2015. Between late January and mid March, the Guangzhou baby hatch took in 262 children. This was an unexpectedly high number, causing the baby hatch to close in late March. 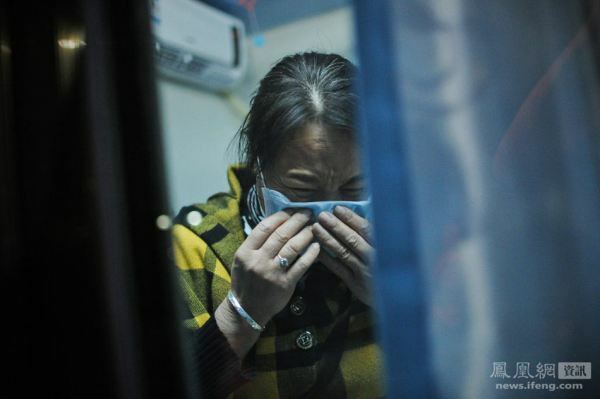 In late February, a photojournalist captured 24 hours at the Guangzhou baby hatch, exposing some heart-wrenching, tear jerking moments. These photos and captions all convey a sense of desperation, and many of the comments beg for other options. I don’t think it’s uncommon for those outside of the adoption community to think that one primary reason adoptees are abandoned is because of a lack of love on the behalf of the first parents. These photos show that is not the case. Many of the children left at this baby hatch had severe medical needs that the parents simply couldn’t afford to treat. I think these photos are absolutely essential for anyone who considers relinquishment and easy or callous decision for first parents. I also think these photos are a must-see for parents of adoptees from China. While my parents have been very reflective with me about my first family, I think biological families are often forgotten in adoptive homes – especially in international adoptions when the first family is unknown and seemingly worlds away. I think the baby hatches in China raise another significant point on what is in the best interest of children. Surely having safe places to leave babies is better than the horrid stories the media likes to highlight of babies left in cardboard boxes. With this, I’d agree, however I have severe hesitations. While baby hatches may seem like a great solution to the problem of child abandonment in China, I believe this is the equivalent to putting a decorative bandaid on a deep wound requiring much more attention. Baby hatches may reduce the number of street abandonments, but these establishments don’t dig deeper or heal the root of the problem of abandonment. Would parents leave their children in the baby hatches if medical treatments for their children were available and affordable? Would parents resort to abandonment if the government condoned legal ways of placing children for adoption? Would parents feel the need to abandon their children without such a repressive family planning policy? Would parents abandon their children if social systems were in place to support families as opposed to secrecy, shame, and punishment? I think those who consider themselves advocates of child welfare must look past the surface in oder to get to the root causes of social phenomenons such as child abandonment and international adoption. The longer one looks, the more complex, entangled, and historic the issues become. Simultaneously, simplistic ideas like baby hatches seem less soluble. When we truly value what is in the best interest of families and what is in the best interest of children, we will prioritize family preservation and the socio-economic, political, and cultural changes that must take place so that no parents have to be put in the situations in the images shown above. Thank you for writing about these babyhatches and the deep grief Chinese parents face when leaving their child there. Newspaper articels such as these give Chinese parents a face. There is no such a thing as abandonment, all abandonments are carefully plannend. I believe a lot of children were abandoned by the Chinese families that adopted them. Mind you, they were not abandoned but taken by familyplanning (your documents will say otherwise). I know how much grief and trauma my daughter’s birthparents went through, we can not even start to comprehend. And that there is no place in China where these parents can get help to talk about their trauma. Instead of that society judges them harshly. My daughter’s lovely mum was spit upon by an unknown person from within a house when we were visiting them last summer. It is also the reason why I support a UK based charity (hope4china) which is helping Chinese mums to keep their children by helping them with school and medical Cost. I am stunned by these images and as always your post is so thought-provoking. I truly value your perspective. While baby hatches may seem like a great solution to the problem of child abandonment in China, I believe this is the equivalent to putting a decorative bandaid on a deep wound requiring much more attention. Baby hatches may reduce the number of street abandonments, but these establishments don’t dig deeper or heal the root of the problem of abandonment. I gather, too, that rank-and-file Chinese are ashamed of the abandonment situation and are increasingly demanding that Beijing do something about it. Small steps, perhaps, but cause for hope. Absolutely heart breaking. Adopted our 2nd daughter from China when she was 5 from an institution. She was born with a cleft lip/palate. She had a note when she was found as an infant saying that they were very sad, but couldn’t afford to keep her. They left 130 yuan with her which was probably a lot of money for them. Having read this I believed it was very enlightening. I appreciate you finding the time and energy to put this article together. I once again find myself spending a significant amount of time both reading and posting comments. But so what, it was still worth it! Whoah, this blog is great. I love reading your posts. Keep up the good work! I know many people who are searching around for this kind of info, and I’m sure you can aid them greatly.